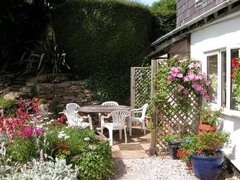 About: Millmans self-catering holiday cottages are situated in the tranquil village of Marldon, in beautiful South Hams, Devon. Ideally located to explore the award winning beaches of South Devon, Dartmoor National Park and the historic towns of Totnes and Dartmouth. Marldon's lanes, countryside and Church House Inn are featured in several published walking guides ranging from a short stroll through the village to a ten mile adventure taking in Compton Castle and surrounding villages. 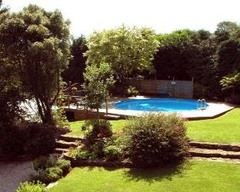 Millmans is believed to date back to the 17th century and still retains much of its charm and character; the attractive cottages nestle around a courtyard and beautiful cottage garden, with its sundeck and sparkling solar heated swimming pool. 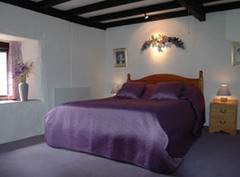 The five cottages offer a variety of accommodation from a cosy hideaway, Lilac Cottage to our largest Honeysuckle Cottage with its three spacious bedrooms. 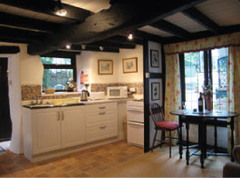 Each cottage has its own particular charm and character and are all furnished and presented to the same high standards. South Hams and Torbay enjoy one of the mildest climates in the whole of Britain. Indeed, the name "Hamme" is an old English word meaning enclosed or sheltered place. With spring arriving early, long summers, warm autumns and mild winters, you can safely choose to visit at any time of year. Millmans Cottages is a great location for the coast, moors, national trust properties, gardens, golf courses, stables, fishing lakes and a variety of excellent shopping locations., so why not try a short break or promotional package in the Spring, Autumn or Winter in one of our four star cottages? 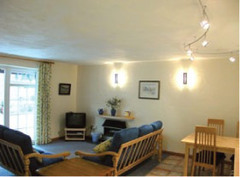 Products or Services: Self Catering Hiolidays Cottages offering Holidays, Short Breaks, Art & Craft Breaks and Special Offers. Facilities Include: DVD Player, Fridge/Freezer, Microwave, Electric shaver point, Free View TV, Fridge, Ironing Facilities, Washer/Dryer, Electricity inc in rate, Garden/patio for guests' use, Gas inc in rate, Launderette, Linen available free of charge, Linen provided, Linen provided for overseas visitors only, Open all year, Art & Crafts, Painting Breaks & Courses, Wedding Accommodation.